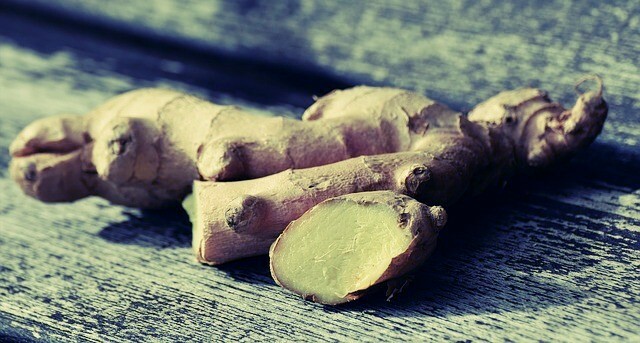 Home » Blog » Can Ginger Help Prevent Cancer? Can Ginger Help Prevent Cancer? The root of the ginger plant has been used for many thousands of years, as both a cooking ingredient and herbal remedy. The herb originates from Southeast Asia, where it is used for culinary and medicinal purposes. Ginger is available in many forms, including liquid emulsions, raw ginger root, ginger tea, ginger powder and ginger tablets. Some of the ailments that ginger purportedly treats are often experienced by people battling cancer and undergoing chemotherapy. This article will examine ginger’s effectiveness for both, relieving cancer treatment symptoms and treating cancer. Ginger has a well demonstrated ability to help treat indigestion and prevent motion sickness. It can also reduce the severity of morning sickness in pregnant women. However, while some studies suggest ginger has the ability to reduce nausea in cancer patients undergoing chemotherapy, the results are mixed. The mixed results from the available research may be due to a large number of variables involved. The form the ginger is in (tablet, fresh root, powders), the type of chemotherapy drugs in use, the type of cancer and the extent of nausea all play a role when analyzing ginger’s effectiveness for relieving cancer symptoms. A paper published in 2003 indicated that ginger may be somewhat effective at combating chemotherapy-induced nausea (Sontakke et al., 2003). (2) When compared to two common anti-nausea drugs, ginger was slightly more effective than one and less effective than the other. Researchers used a randomized double-blind and placebo-controlled trial involving 162 patients, with 2 grams of ginger tablets being given to some participants. Based on this research, caution should be taken when taking anti-nausea pills in conjunction with ginger. With research showing mixed results, it is up to the individual to determine if ginger reduces their chemotherapy-induced nausea and vomiting. Research has shown that ginger extract can inhibit the growth of prostate cancer cells in mice. Ginger can also kill ovarian cancers cells. The finding could open up new forms of treatment for chemotherapy-resistant cancer cells. Another interesting finding from this research is that ginger caused the ovarian cancer cells to die in two ways. Firstly, ginger triggered apoptosis in the cancer cells, which is how cells are naturally meant to die. It also triggered autophagy, which is how the body recycles dysfunctional cellular components. Researchers believe ginger is able to kill cancer cells thanks to the high levels of phenolic antioxidants it contains. These substances can reduce oxidative damage within the body, which is thought to reduce the risk of both cancer and heart disease. Their action on the proliferative capabilities of cancer opens up exciting possibilities for cancer research. Whilst there haven’t been any large scale studies looking at ginger’s potential to prevent colorectal cancer, pilot clinical studies have shown some potential. Those COX and LOX enzymes produce eicosanoids — fatty acids that can help cancer develop. 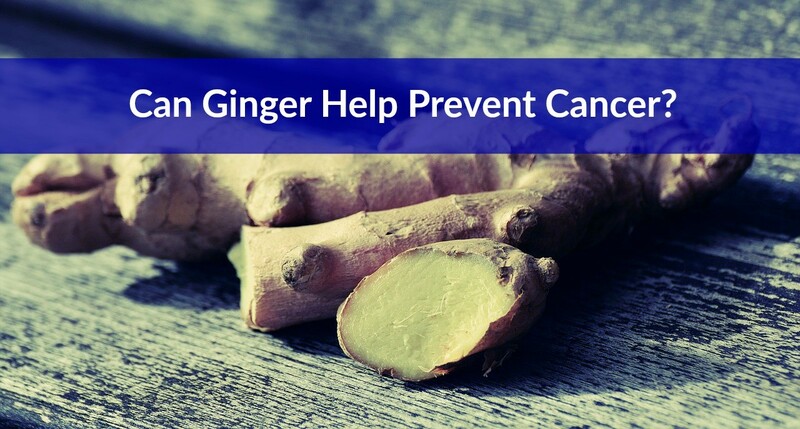 By inhibiting the production of COX and LOX, ginger is thought to slow tumor growth. Researchers also believe the anti-inflammatory effects of ginger have the potential to help prevent prostate, kidney, pancreatic and breast cancers. 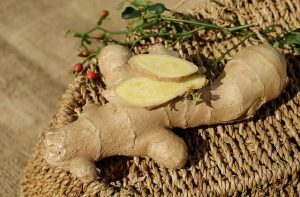 Whilst ginger may not always be an effective way to relieve chemotherapy induced nausea, there is some great potential for its use as a cancer treatment. Researchers are just starting to understand the power of ginger for combating cancer and they expect to understand its full application within the next decade. (2)Sontakke, S., Thawani, V., & Naik, M. S. (2003). Ginger as an antiemetic in nausea and vomiting induced by chemotherapy: a randomized, cross-over, double blind study. Indian journal of pharmacology, 35(1), 32-36. (3)Zick, S., Ruffin, M., Lee, J., Normolle, D., Siden, R., Alrawi, S. and Brenner, D. (2008). Phase II trial of encapsulated ginger as a treatment for chemotherapy-induced nausea and vomiting. Supportive Care in Cancer, 17(5), pp.563-572. (4)Lee, J. and Oh, H. (2013). Ginger as an Antiemetic Modality for Chemotherapy-Induced Nausea and Vomiting: A Systematic Review and Meta-Analysis. Oncology Nursing Forum, 40(2), pp.163-170. (7)Med.umich.edu, (2014). UMHS Press Release: Ginger kills ovarian cancer cells. How to Treat Seasonal Depression?